Business applications are evolving, resulting in an ongoing requirement to apply more acceleration techniques more intelligently so that you are empowered to deliver innovative business apps like video, web and cloud services. 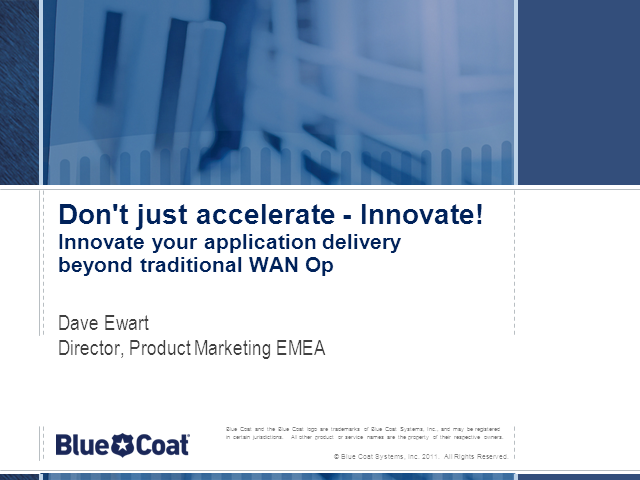 This webinar explores megatrends that should influence your approach and strategy to application delivery beyond traditional WAN Optimisation. In particular, we’ll look at the increasing business use (and recreational use) of the web and video, and how that results in a requirement to optimise the new breed of business applications to support your business goals.